Eco-friendly uv led replace for standard fluorescent tubes. With mini and exquisite appearance, this led par light is convenient to carry. It works great when using fog. It can fuel your passion and greatly increase atmosphere. Classic 18 LEDs black lights bar, UV trigger the white color and special fluorescent body paint effects for neon glow and black lights parties. Widely used in wall lamp, parks, building lighting, plaza, villa, amusement park and other lighting effect. It uses the latest LED technology and adopts 12 high power 3W top grade LEDS with high brightness, low power consumption and bright color. 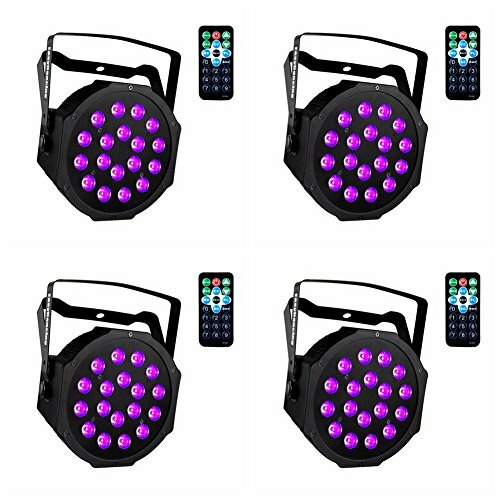 Apply to perfect for family night, birthday, house party, and also up-lighting for wedding, Bar, Night Club, Disco, DJ, Live Show.stage floor. If you have any questions about this product by Easydancing, contact us by completing and submitting the form below. If you are looking for a specif part number, please include it with your message.